7:17 p.m. | Updated After a long legal battle and amid much anguish by teachers and other educators, the New York City Education Department released individual performance rankings of 18,000 public school teachers on Friday, while admonishing the news media not to use the scores to label or pillory teachers. The reports, which name teachers as well as their schools, rank teachers based on their students’ gains on the state’s math and English exams over five years and up until the 2009-10 school year. 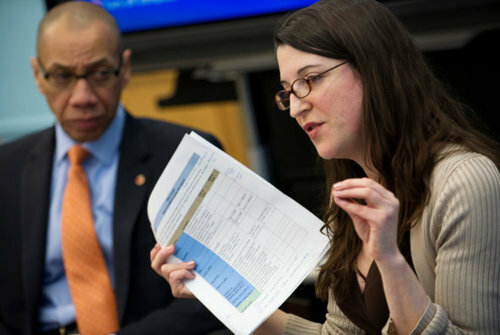 The city released the reports after the United Federation of Teachers exhausted all legal remedies to block their public disclosure. The reports are now available on SchoolBook, posted on the individual pages for the elementary and middle schools whose teachers’ ratings were released. You can search for a school by using the search module on the left. At a briefing on Friday morning, an Education Department official said that over the five years, 521 teachers were rated in the bottom 5 percent for two or more years, and 696 were repeatedly in the top 5 percent. This entry was posted in Uncategorized and tagged Dina's posts, education, Teaching Artists on February 28, 2012 by arts2grow. for submissions is May 1, 2012. 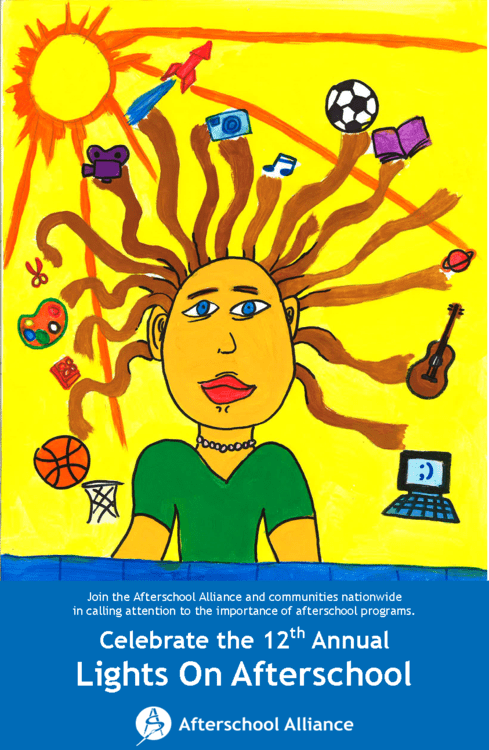 Posters are sent to afterschool programs from coast to coast for Lights On Afterschoolcelebrations. The artist and/or program will be credited on the poster, and the image will be featured on our website. The winning image will be printed on 70,000 posters displayed nationwide! Get inspired: Learn more about our 2011 poster contest winner Nicole Tanner and check out our 2010 gallery of poster submissions. This entry was posted in Uncategorized and tagged Afterschool, artist area, arts education, Dina's posts, Teaching Artists on February 16, 2012 by arts2grow. 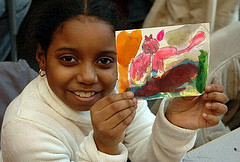 Arts to Grow inspiring children to love learning through Arts. This article is one of many that apply the same approach to education through the Arts. The arts provide insight into the way other people think, respond, create, and provides a basic means of communication. When barriers in language cause insufficient means of communication, art serves as a universal language (Linderman, 1984). Art is a visual language with a culmination of perception, skill and imagination being merged much as the same process as practiced reading and writing develops. Using the visual arts (illustrations, drawings, sketches, and craft such as pottery, carving, or printmaking) enables students to gain better eye-hand coordination, visual representation skills, communicate ideas, and deeper understanding of the process of discovery. Each of these areas contributes to the development of thinking, creating, problem solving and expressing thoughts through symbols. 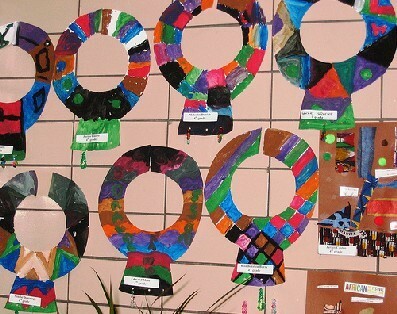 The visual arts provide the opportunities for students to be involved in divergent thinking and creative design. Van Buren (1986) states that communication and self-expression are two goals that are common to art, reading, and writing. When the classroom teacher selects the appropriate strategies, a student’s interest and motivation in reading and writing are enhanced (Criscuolo, 1985). Teachers can be encouraged to integrate or have embedded, literacy instruction throughout the curriculum, (Armbuster & Osborn, 2002). The reading-writing experience connected to art can be highly motivational and exciting to students and to the teacher (Smout, 1990). This entry was posted in Uncategorized and tagged arts education, Dina's posts, Teaching Artists on October 26, 2011 by arts2grow. The following is the fourth and final post in a series discussing the life and work of a teaching artist. Miguel Cossio: Mr. Cossio is a TA in Visual Arts who has worked with our partner Riverdale Neighborhood House in the Bronx. Patricia Runcie: Ms. Runcie is a TA in Theater Arts has worked with our partners Cypress Hills Local Development Corporation/I.S. 171 in Brooklyn and Elysian Charter School in Hoboken. Gardiner Comfort: Mr. Comfort is a TA in Theater Arts who has worked at P.S. 7 in Cypress Hills, Brooklyn. What would you consider your greatest successes as a teaching artist? What advice would you give to other teaching artists? Cossio: To be very flexible with regards to methods of teaching. It’s hard to be at the same level with the people you are teaching – you can’t be like a kid, you have to be slightly above them levelwise, but at the same time, you have to put yourself in their shoes in certain aspects. Runcie: I’m starting to see them go on to high schools of their choice. I’ve given them recommendations and helped them with auditions; they’re going to high schools that they’re proud to attend. As for other teaching artists, I’d say remember YOUR passion for the art, whatever discipline it is. Try to stay in the frame of mind of discovery and to bring that to the students, and be patient. Sometimes, as professionals, when we’re so used to working with those like us, it’s easy to forget that these are kids, even though we are trying to bring them to a higher level of professionalism. Comfort: Probably seeing students embody what I’ve taught them. I have a lot of students now, and it’s very exciting to see them come into the classroom excited, because they had a good time the last time and want to have fun. But it’s more exciting to see them remember the lessons we’ve worked on. I guess I’d say I appreciate both aspects of teaching, when the kids clearly love you and love what you’ve taught them, that’s so touching, but it’s also equally touching to see them apply the skills they’ve learned. Would you recommend any books or courses that you found useful? Cossio: Courses, definitely. I went to one at Lincoln Center Summer Teaching Institute, and it’s based on the idea of imagination. Runcie: Really just my own overall experiences. Comfort: I’ve used very few books. I’ve used the Viola Spolin book, which is very useful for descriptions of exercises, but beyond that, I’ve really just reached out to other actors and other teachers I know. I’ve also used my own experiences in acting classes and in rehearsals. One thing that’s really nice about acting is that we’re all basically kids, we’re never really so sophisticated that we can’t goof off and play really simple and fun games! Click to read Part I, Part II and Part III of The Arts of Being a Teaching Artist Series. This entry was posted in Uncategorized and tagged Dina's posts, Marina's posts, Teaching Artists on May 23, 2011 by arts2grow. The following is the second of a series of posts discussing the life and work of a teaching artist. Why did you decide to become a teaching artist? Cossio: It was really by chance. I came to New York from Mexico and I never had any training as a teacher. Someone talked to me about Henry Street Settlement; it was very interesting because it was a combination of teaching and collaborating with the artists, so that was my main introduction to teaching. Do you find yourself learning through teaching? Cossio: Yes, I keep learning a lot through teaching art. In a way, you are demonstrating how things work, but in a way, you are also doing things for the first time. Even if you’ve done a method of painting or drawing, every time you do it, you learn something new because there are different things being brought to the table. Runcie: As a teacher, learning through the arts is very important to me. I think a lot of times, businesses or people that are budget-minded might say, “Oh, well who needs the arts? We need to focus on math and science.” With the arts, what we’re forgetting when we cut that away, is that in many cultures it’s very prized and it goes hand-in-hand with math and science with attributes like discipline, focus, and working as a team. I think learning through the arts is essential, and I think it helped me in my own career, it taught me discipline and focus. 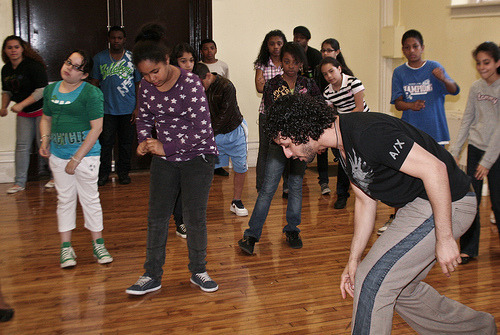 By learning through the arts, students learn to self-discipline and to work towards a goal, together and individually. I treat my students the same way I treat professional actors, and it’s very empowering. That’s also something another teacher couldn’t bring to the table. I think they feel that it’s special, that they’re being treated as adults, it gives them a sense of maturity. This entry was posted in Uncategorized and tagged Dina's posts, Marina's posts, Teaching Artists on April 26, 2011 by arts2grow. The following is the first of a series of original blog posts focusing on the question of what teaching artists do, how the definition of teaching artist differs from that of the certified teacher, and more. Our intern Dina Doyle interviewed the following Arts to Grow teaching artists to learn more. 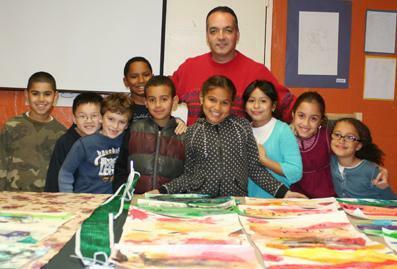 Miguel Cossio: Mr. Cossio is a TA in Visual Arts who has worked at Riverdale Neighborhood House in the Bronx. Patricia Runcie: Ms. Runcie is a TA in Theater Arts whose workplaces include I.S. 171 in Brooklyn and Elysian Charter School in Hoboken. 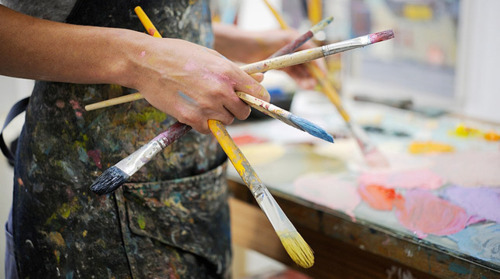 How would you describe teaching artists, and what does it feel like to be one? 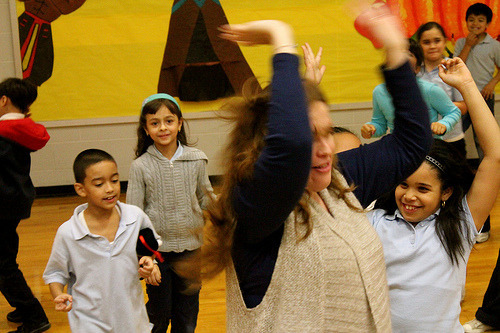 What do you think is the biggest difference between a teaching artist and a regular teacher? Cossio: For me, the most important part is that being a teaching artist allows me to work in different settings, with different populations, grade levels, and neighborhoods. It also allows me flexible time for my personal work. Runcie: A lot of times I feel like I’m a “traveling classroom” because each program is so unique and tailored to the specific needs of the school. I’m an actor, and speaking as an actor and director, you’re always working on different projects and meeting different people and moving from one project to another, so it really goes hand-in-hand that way. I think it also keeps my own artistry in practice – I do warm-ups that I do myself, with the kids, and teaching them the way a professional would be doing. We have experience in the field, we ourselves are working artists, so we have that practical knowledge and skill set that we can bring to the kids that another teacher might not have, and that I think is the biggest difference between teaching artists and certified teachers. Comfort: I would say a teaching artist is someone who lends their own professional experience to younger people for the purpose of either pursuing work in that field or just simply all-around education that comes from that field, as opposed to a certified teacher who doesn’t lend their own professional experience. This entry was posted in Uncategorized and tagged Dina's posts, Marina's posts, Teaching Artists on April 18, 2011 by arts2grow. 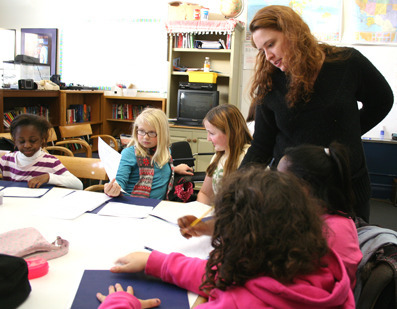 “What is a teaching artist? What’s the difference between a teaching artist and a regular teacher?” The response to these questions are not easy to answer. There are many different views on who a teaching artist is, and what specifically differentiates teaching artists from certified teachers. Our intern, Dina Doyle, set out on a mission by interviewing TA’s Miguel Cossio, Patricia Runcie, & Gardiner Comfort – all 3 of whom are TA’s for Arts to Grow – to find answers to seemingly simple questions, and got many differing responses. We will have a series of upcoming blog posts to help answer many frequently asked questions about life as a teaching artist. MIGUEL COSSIO – Mr. Cossio is a TA in Visual Arts who has worked at the Riverdale Neighborhood House in the Bronx. PATRICIA RUNCIE – Ms. Runcie is a TA in Theater Arts whose workplaces include IS 171 in Brooklyn and Elysian Charter School in Hoboken. GARDINER COMFORT – Mr. 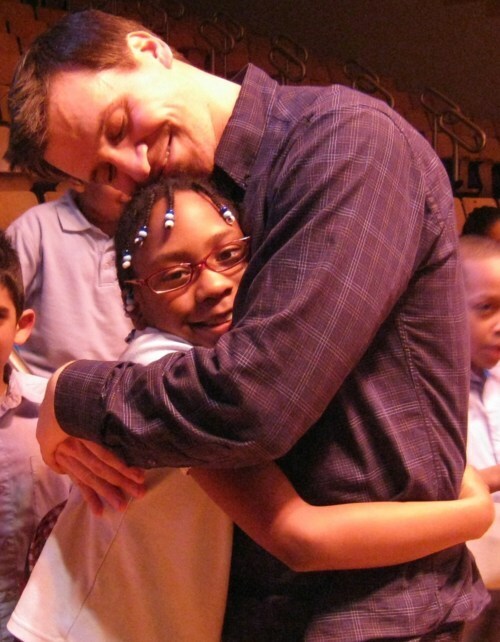 Comfort is a TA in Theater Arts who has worked at PS 7 in Cypress Hills, Brooklyn. This entry was posted in Uncategorized and tagged ATG's programs, Marina's posts, Teaching Artists on March 7, 2011 by arts2grow.